I recently posted about the life-changing tapas we had at Ciudad Condal, and now I want to highlight the amazing La Boqueria (officially called Mercat de Sant Josep de la Boqueria). The beautiful and bustling market was located just a 5 minute walk from our hotel, and was filled to the brim with beautiful juices, lots and lots of parma ham, and vendors selling baked goods, sangria, and everything else you could imagine. 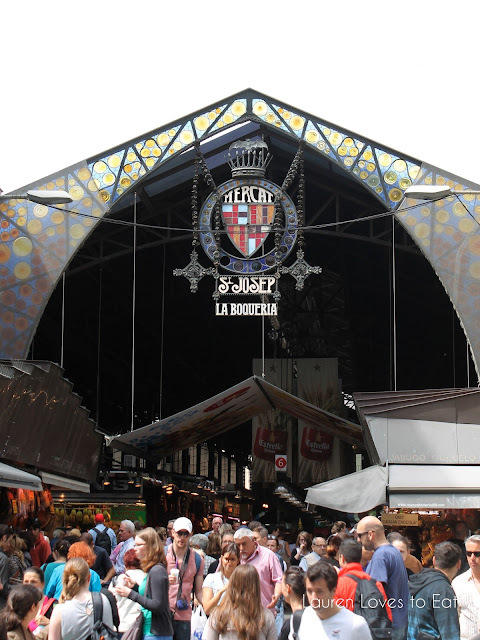 The front entrance of La Boqueria. 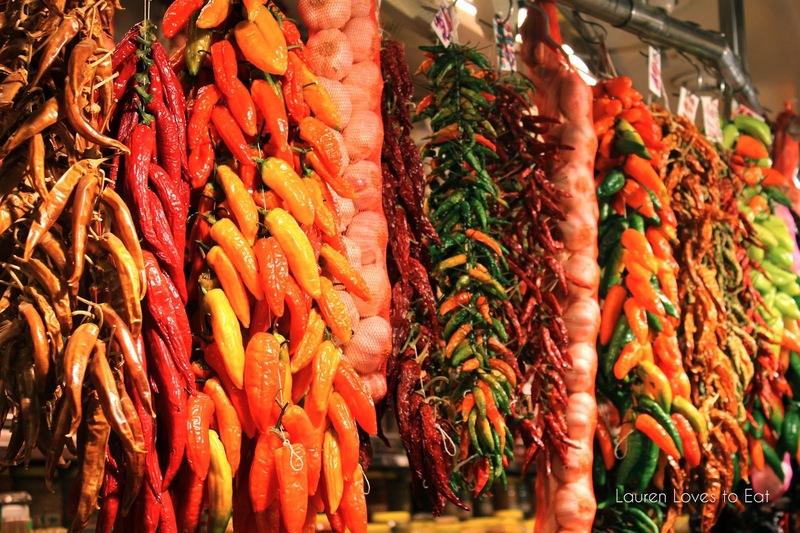 A variety of bright colored peppers. 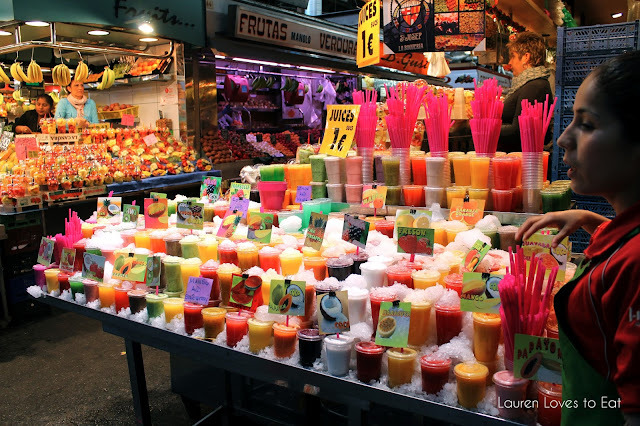 There were several fresh juice stands by the borders of the market selling juices for just 1 euro, but we discovered that the juices sold for 1.5 or 2 euros at other vendors were better-- less watery and more "fresh" tasting. 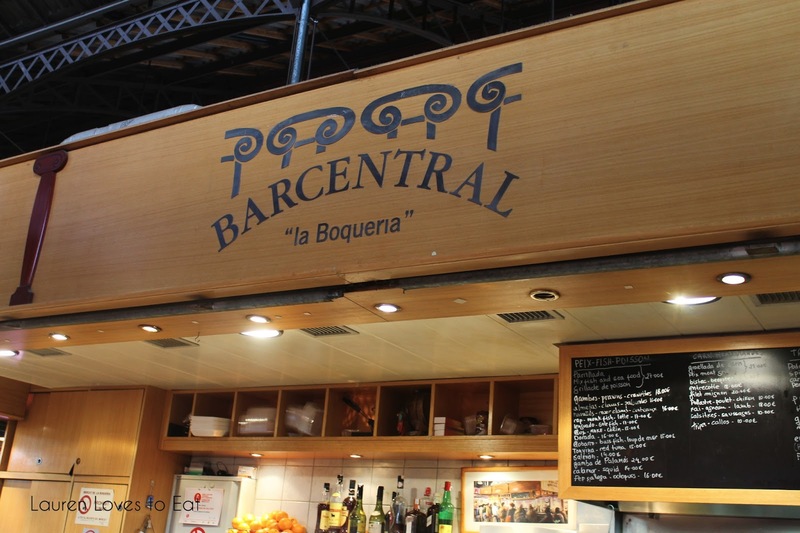 Towards the back of La Boqueria, we found a merchant displaying delicious looking tapas. 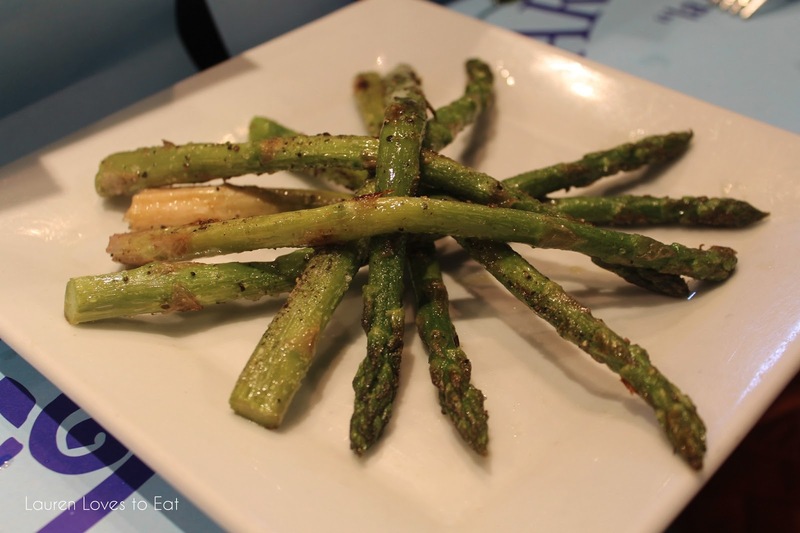 Since we already had lunch plans, we decided to just share some appetizers. Bar Central has around 10 stools around the bar counter. Quite a few people just stood around to eat though. The food is that good. 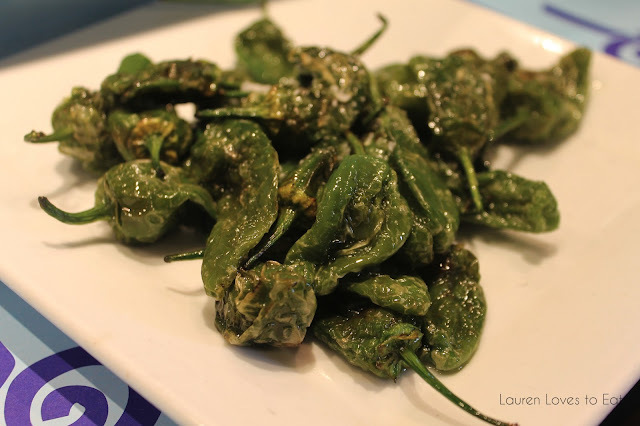 Sauteed Jalapeño Peppers: These had a terrific charred flavor. Sauteed Baby Octopus: Combined with pesto and plenty of lemon juice, the dish was outstanding. The octopus was incredibly tender, with the perfect chewiness. A couple sitting next to us kept glancing at it that we offered them several bites to try. They fell in love with it too. Grilled Asparagus: I'm pretty sure we ordered asparagus at every single tapas restaurant we went to. So tasty, and this wasn't too salty, which happened a lot. Awesome pics. I love the food in Spain. I would be all over the sauteed octopus!